Isidingo, Backstage, Scandal! These are not just local soapies that kept us enthralled through the Generations (wink!). Market watchers could use these terms when it comes to the rare instance of investment downsides. While price volatility offers opportunity, there are outliers in the markets that remind us that company management needs to be more transparent. Fortunately for investors, there is a sense of escape(ism?) when it comes to the unforeseen challenges in the markets. That kind of protection comes in the form of an innovative product that insures your investments from those rare events in the markets. I am putting the spotlight on events in the markets the best way I know how - through the eyes of a (recovering) soapie addict. The US-China trade war which officially kicked off in early 2018, despite US-China relations seeming to have warmed up in the year before. While tensions had been brewing since before 2017, 2018 seemed to promise good economic relations between the two mega-economies. By March 2018, U.S president elect, Donald Trump, signed memorandums to impose tariffs on Chinese products, sparking a US-Chinese trade war had an impact on markets around the world. By comparison, Kenneth Mashaba's beef with S'busiso Dlomo in the media space (Mashaba Media vs. Ezweni Communications) is a drop in the ocean. However, the stories share similarities in that the relationship between the two main figures began as a partnership and friendship, before quickly degenerating into a full-on war between the two antagonists. This one had been building for the longest time. The markets first heard of Discovery's intention to join the banking industry in 2016 with CEO, Adrian Gore, making the company's intentions clear. 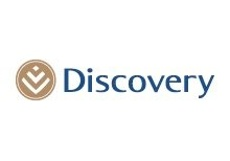 Two years later, with the health and lifestyle-focused company's banking licenses cleared, Discovery Bank officially introducing itself. Much like the wedding of Karien to George on 7de Laan, this is a development that had been years in the making. And we finally got to witness the start of this new relationship (the marriage of Discovery's Vitality behaviour driving model with banking). Like the soapie wedding, clients of Discovery breathed a sigh of relief when it finally got underway, after a rollercoaster of emotions in the building of this moment. This one is a duzie, because what would the markets be without MTN and all of its excitement. No we're not talking of the mobile telecom's decision to scrap Free Twitter, which the public courts deemed a harsh move by the yellow and blue mobile service provider. In 2018, MTN was fined R777 million by Nigerian authorities, payable to the Nigerian Central Bank. This fine was seen as a victory in the markets since the telecoms company was initially due to pay R118 billion. Fortunately for EasyEquities users, investors in MTN can be (and has been) covered by InvestSure, protecting them from any losses incurred in the fall of MTN's share price by way of company management activities. Just when you think they're out for the count, they came back stronger than ever. This is a typical soapie trope, so why wouldn't we see the same in the markets when a favourite in the markets rebounds. That's Capitec in 2018. Just in case you missed it, Capitec were accused by Viceroy Research for underhandedness and being a 'loan shark.' 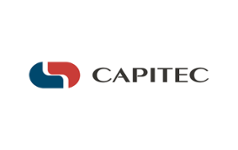 This news sent shockwaves through the markets and saw Capitec's share price fall, with many clients who had insured their holdings having the option to make their insurance claim on the popular stock. As you may deduce from the way this list is going, more unfolded. This time in favour of the protagonist. Capitec came out guns blazing, with the CEO even heading over to Metro FM's Fresh Breakfast segment to clear the air, as well as highlighting that Viceroy had made financial gains from the 'news' they shared about Capitec. What happened next? Capitec's share price shot back up and rebounded, much like the time Duke Ngcobo, from Backstage, literally rose from his own coffin to tell his employees to get back to work. And back to work it was for Capitec. Last year, Montauk Holdings was the talk of the town when its share price hit its highest mark in June 2018, trading at R101 per share, up nearly 300% from the previous year. The energy company, with sites in the US, has seen its stock rise from R2.20, when it first listed in 2014, to the R60 range it's at lately. 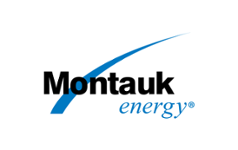 Long-term investors would be pretty excited by how Montauk's stock has risen to where it's at now, even with the correction it has seen since last year June. I would liken this rise in stock to the career Michelle Mosalake has seen. There are no doubts in my mind that we're yet to see her climb even further, and become an global star with performances on some of the international stages. The Rhodes University theatre graduate began to make her mark on our TV screens with her role on Mzansi Magic's Isibaya, before moving to popular soapie The Queen in 2018. In such a short span of time, Michelle's career has reached dizzying heights for her young age, as she becomes a household name in South African entertainment, and not just the soapie genre. With that, while there may be a lot going on in the markets, these companies have proven themselves to be entertaining, and especially resilient in the spotlight. In instances like Steinhoff and EOH, where we've seen a company's share price fall, investors now have the option of insuring their holdings. With many investors worried about the up and downs in the markets, which are natural and smooth out over the long-term, clients on EasyEquities can rest assured that their assets are protected from market outliers that make equity markets seem riskier than it is.